This is purely opinion, no other context. The MTG2 has a beautiful beam (no donut) and tint, but the XHP70 has a higher max output and smaller footprint. I can not answer this. At this point in time it has to be MTG-2 for me. I have not yet found a reflector that justifies the XHP70 yet. Saying that the 3C tint of the XHP70 blows me away every time I use a light with this led in it. It cannot be compared to the 3C tint of an XML-2. I'd be interested to hear others thoughts on this tint. Well, so far, I would go with the XHP 70 for sheer eye blinding lumens, but the MT-G2 will have a just little better beam. The "black cross" will always be there in the XHP 70, but the MT-G2 always has yellow spots in it, so take your choice. If you are an avid white wall hunter, then neither led is what you want, for they both look bad on a white wall at 20 paces. To me, after trying a couple XHP 70 at 9 amps, I don't think they will burn out easily, so total lumens is going to be a lot higher than the 4022 cree spec. If bright as hell is what you want, then the highest output emitter will always be the one to go with. EDIT: I have to amend my post to say that the black X in the XHP 70 can be eliminated with the right style of reflector and the right focus relationship of led to reflector base, as shown in this post. I didn't think it was possible, but that is the cleanest beam I have seen, for a 4 die led. O-L said it, if you want the brightest then the XHP70 is the way to go. I love the MT-G2 for it’s tint and beam profiles in use. Great white wall hunting comes down to reflectors as far as I’m concerned. But this said, optics can change the beam tint and of course beam profile. I don’t tend to like optics as much as reflectors, OP for the MT-G2 and XHP series, smooth mirror finish for everything else. Like with any tool, it comes down to what you’re doing and what you need or want. You don’t grab a 12mm wrench when you’ve got a 5/8” bolt to turn. I got an XHP50 right away, and thanks to Hanks amazing sale I have an MTG2 in the mail. The MT-G2 in a Courui D01 (bighead) throws pretty nicely. Works well in the Yezl Y3 too. I have 11 MT-G2 lights, my favorite (aside from the highly customized Solarforce M8) is the Solarforce S2200. Large diameter orange peel reflector, excellent beam and tint. Maybe if I start a knife collection instead she will then be happy? I don’t remember the specs of the XHP70s I got, but besides the donut hole the color temp was too cold for my taste. I might get more light with the XHP70s, but the MT-G2 5000K is still my favorite. Take care of your flashlight and your flashlight will take care of you. I have to agree with Mike C. So far I haven’t found anything that I prefer overall more than the 5000k Q0 MT-G2. Hey PD, can’t really answer this one. I have a shave XHP70 in the S70 with a FET driver, love it as it is very neutral white. I have been trying to decide on a build for an MT-G2 and have not settled on the host yet. I would love to find a battery extension tube for the Convoy M1. Would be a small host but with the MT-G2 I think it would be a good one. I do not want to build one based on 18350’s, just no run time. I need a good 18650 or 26650 X2 host. I have thought about the big Convoy, but I would hate to rip one of those apart. All the BS aside, I really do want to try an MT-G2! Be nice if the luminous surface of the xhp’s were more even like the mtg. Nicer still if the XHP-35 came as a 6V option. They’ve addressed to a certain extent the cross and both the 50.2 and 70.2 will make better throwers than the mtg. Driving the XHP 35 is still a pain. But for my lights output and intensity is most important, so I would still go with the XHP70. Hey guys, looking for suggestions on MTG2 LED lights at the moment? I don’t know if there is such a thing anymore. I guess you could use the BLF search function to find mention of MT-G2 lights, then look those up and see if they still exist. The Acebeam K40M. It’s super high quality. It’s a beast. It has really good throw and spill. 500m of throw! I own this light and personally recommend it. The magnetic mode selector ring is awesome. 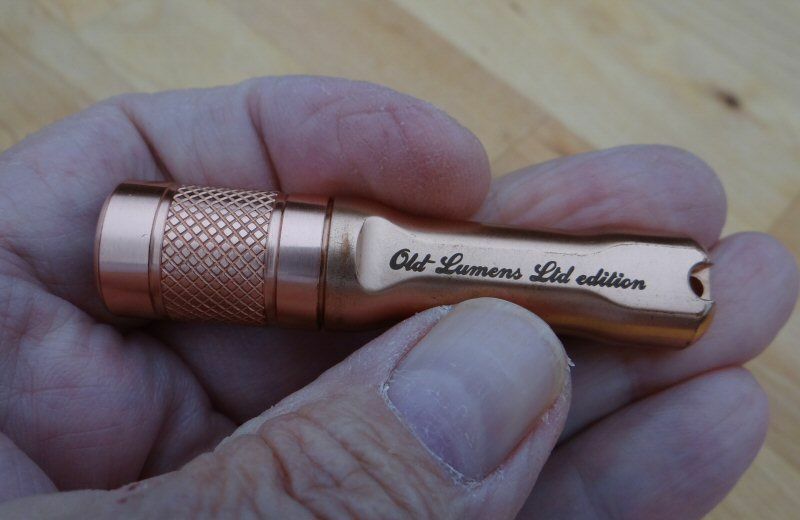 The tail cap click is great for locking out the light. It has the highest/brightest bin MT-G2 Q0 5000K LED. Even though the XHP-70 has more lumens and better throw, I like the MT-G2 far better. The XHP-70 has horrible tint-shift through its viewing angle, much the same as the first gen offerings of the XM-L & XM-L2 LEDs. (in SMO reflectors its beam tint shift & pattern is among the worse i ever seen, tint shifts from white to yellow/green to blue, with the donut hole syndrome) and even the best tints don’t come close to that of a 5000K MT-G2. The sco2 with the mtg2 is a nice flood light. And I have yezl with a mtg2 and ramping firmware and fet driver. I would really like to try a mtg2 dedomed and see how it would look in it. I have a dedomed MT-G2 i tried, the tint went more to the green shade. Thanks for that suggestion but, I really prefer more flood then throw. So far I think the only light that I can find that fits my needs is the Haikelite sc02.